Five years ago came the news that my memoir, I’m Proud of You: My Friendship with Fred Rogers, was going to be a major motion picture. Two young screenwriters, Noah Harpster and Micah Fitzerman-Blue, had developed a beautiful script. The directors of the movie Little Miss Sunshine had signed on. There was significant buzz in Hollywood and in the Madigan household. Then, for reasons I can’t discuss, the project collapsed. Ugh! 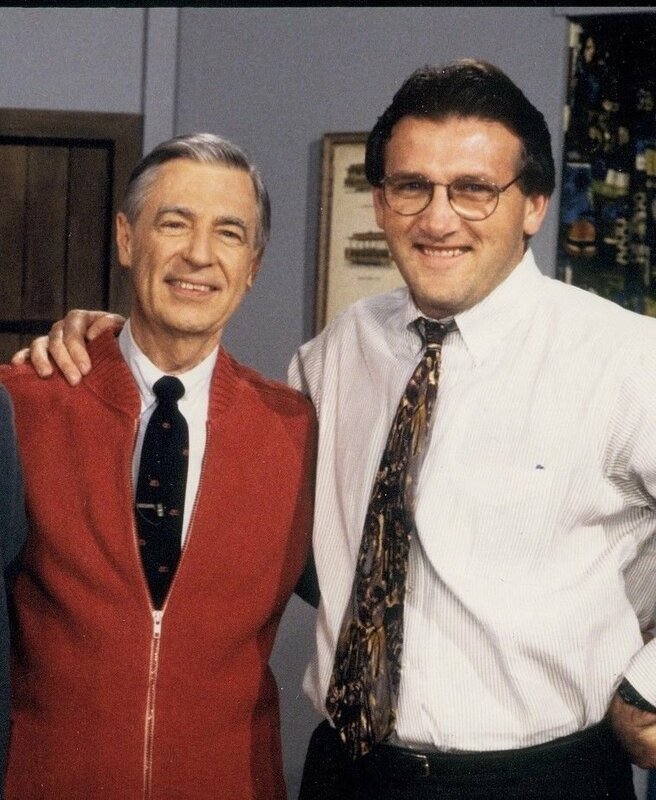 This week the world learned that there will be a Mister Rogers movie after all, with Tom Hanks in the role of Fred. Noah and Micah have developed another script, this one based on Fred’s friendship with writer Tom Junod of Esquire Magazine. After the news broke, many of you have kindly expressed your disappointment that this movie will not be based on I’m Proud of You. And yes, I have recently have had occasion to wonder about what might been. But those thoughts have been fleeting, and my own disappointment has been just a tinge. I don’t spend a lot of time these days getting het up about things that I can’t control. Noah and Micah are two beautiful guys who have devoted so much of their professional lives to telling a story that appropriately venerates our beloved secular saint. No one deserves success more than those two. But most importantly, our world needs the example of Fred Rogers now more than ever. This thought occurred to me just today. Five years ago wasn’t the right time for Fr ed to make it to the big screen. Now is the time, a unique moment in human history when all of us need to become reacquainted with this embodiment of presence, kindness, compassion, civility, love and non-judgement. We thirst today to be reminded of what is most true about the human spirit. I do hope that in researching this most challenging role, Tom Hanks finds his way to IPOY. I think he will find it enlightening and useful. But whether he does or does not, I am encouraged, Hanks has been cast in the part. 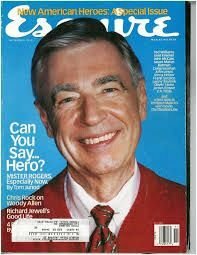 So far as I can tell, he is one of the few actors of our age with the heart and soul to play Fred Rogers.